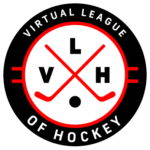 Manage your own hockey team, adjust your lines and rack up trophies and achievements. Improve your team by playing games that earn you experience points (XP) and millions (M). Invest in training, equipment and strategies to win your League Cup.